Of all the motor vehicles that have been lionized in popular music, none has carried more lyrical and atmospheric impact than the Cadillac. Whether because of the way its triple-syllable name rolls off the tongue and can be twisted like phonetic putty or because of its stature as the pinnacle of Motor City sheetmetal, it has been the go-to muse for countless artists. 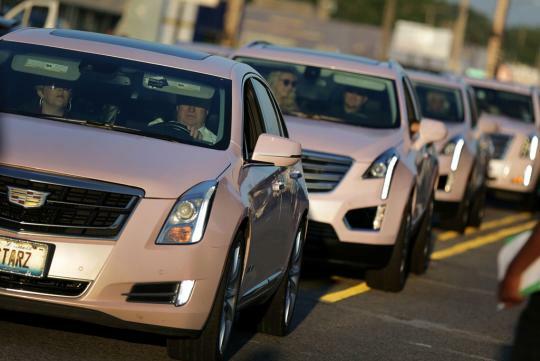 But unlike Chuck, Johnny, Bruce, and so many others who appropriated the Caddy, Aretha Franklin is a Detroit native, and when she called out a pink Cadillac in her 1985 hit "Freeway of Love," it intrinsically linked her for eternity with the make and hue. 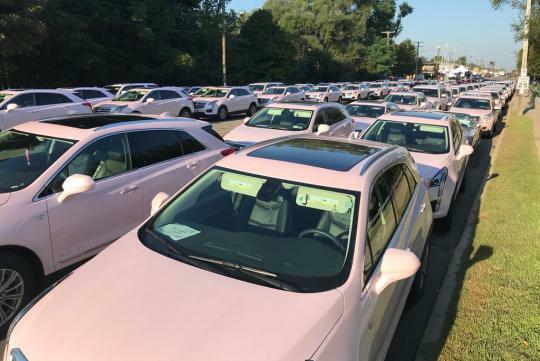 So when the call went out earlier this week for a procession of pink Cadillacs to pay tribute to the Queen of Soul at her Detroit funeral, the faithful responded en masse. 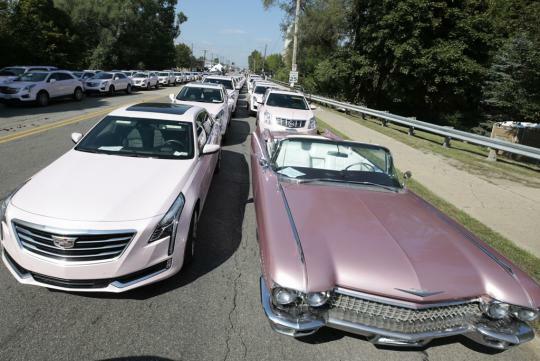 Coming from as far away as Houston, participants filled Detroit's Seven Mile Road with all manner of pink Cadillacs, including Escalades and at least one XLR. Many were bearing the Mary Kay cosmetics empire's logo in the rear windows. The procession, led by Crisette Ellis, first lady of the Greater Grace Temple and Mary Kay national sales supervisor, preceded the service. How did the legendary GM Cadillac get it's "Fins"